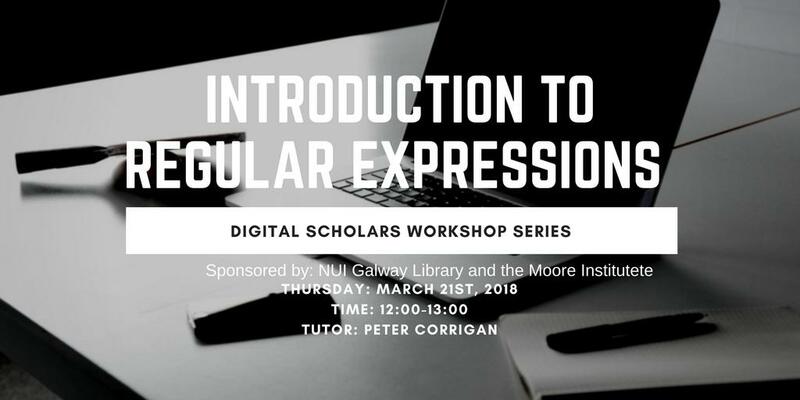 Regular expressions are a powerful tool to help you search, clean, transform, or otherwise mutate and repurpose data – from anything including large data corpora, gene sequence datafiles, bulk econometric data, historical printed documents and more. Long a very specialized tool, regular expressions now appear word-processing and spreadsheet applications. This sessions aims to provide sufficient knowledge to start handling many data formatting and transformation problems with greatly improved productivity. Anyone who works or plans to work extensively with data – programmers and non-programmers alike, might find this session useful. This hour-long session will introduce key aspects of visualising your research data using web-based maps. You will have the opportunity to get hands-on and follow along with a demonstration of how to create your own simple web-based map, using an online service. Presenter David Kelly works on digital projects with researchers from humanities and social sciences.